Anna Matykiewicz was born in Poland and moved to Ireland in 2003. While living in Ireland, she completed B.A. Degree from Visual Communication in 2005 in Poznan, Poland but remained in Ireland where she currently resides. In 2013 she left corporate work to fully pursue her career in art. Prior to this she was working in many diverse areas, not related with art. She is mostly focusing on exhibiting and promoting her artworks through the internet. Her artworks are in private collections across the world in such countries as Australia, United States, France, Germany, Poland, South Africa, Ireland, Spain, Italy, Greece. 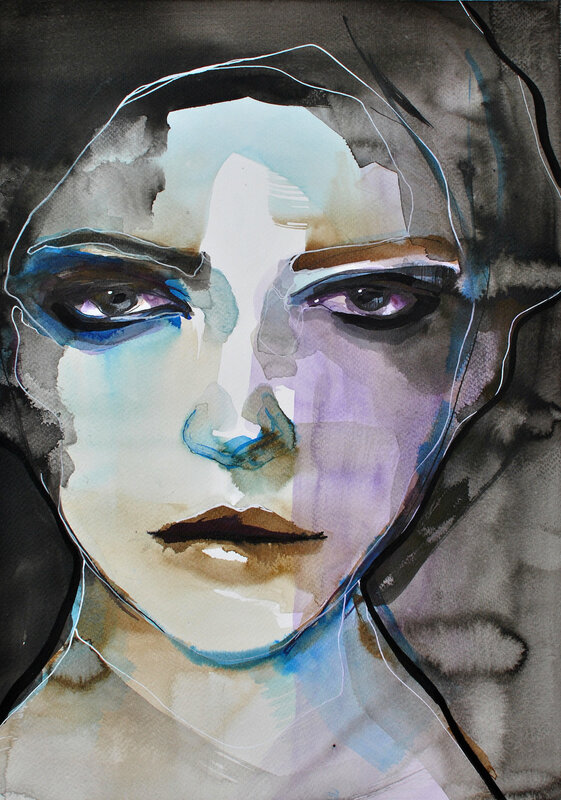 Anna's work is known for her bold color palette and her portraits with a great emotional load. Anna considers herself as an artist of figurative style and traditional formation inspired by the human faces and personal experiences that have touched her soul. To a large extent, the main theme of most of her pieces has to do with honest emotions and deep feelings. 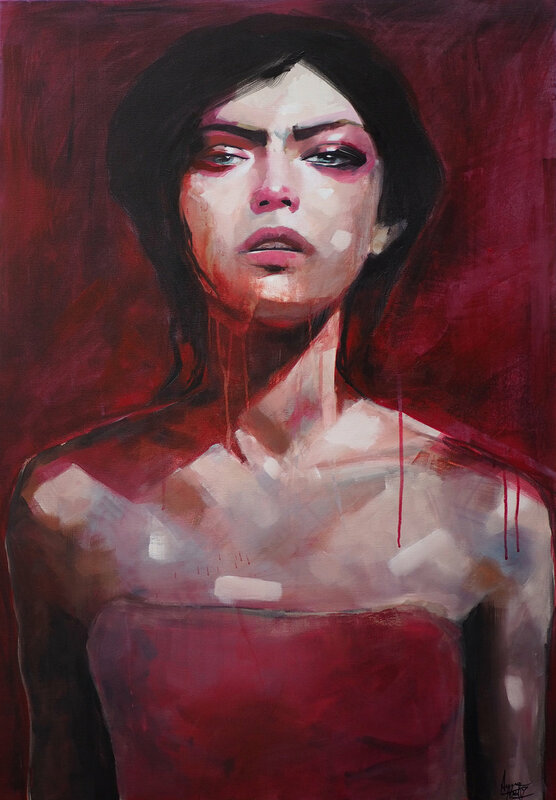 Although figurative paintings often look for realism and aesthetics, Anna's portraits are a faithful representation of the emotional states of the people she paints. To give even more important to the message, it often includes many details and symbolisms, especially in her most recent works. 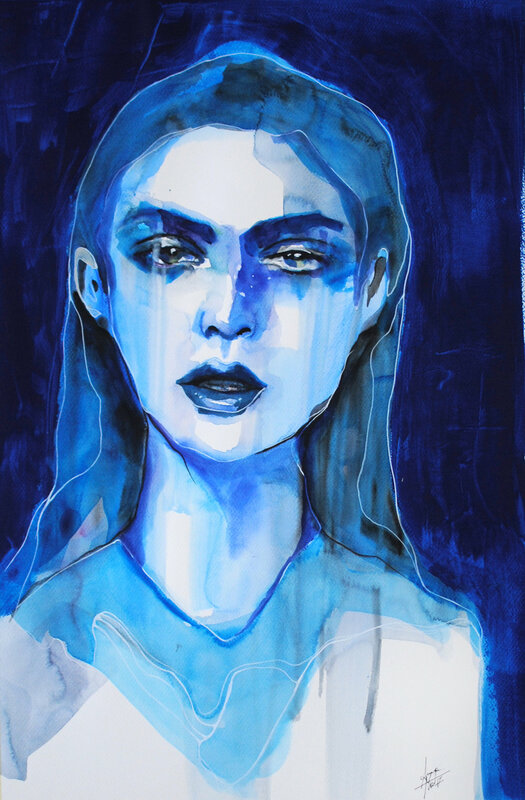 Anna's paintings have a special force behind the delicate portraits she presents. In her work, there is an innocent aspect and a certain aggressiveness well understood. The colors blend in perfect harmony giving the characters an exotic and mysterious air that impacts the viewer. Their characters always intend that they are going through some kind of transformation or positive change.